In case you missed its publication earlier this week, here is this week’s Sunday School Lesson again. Enjoy! We all have those acquaintances in life that make us constantly shake our heads, and oh, do we feel like walking out on them, never to return again. Especially when their behaviors do not line up with our beliefs. Many of the times one can feel justified in their decision to wash their hands of that relationship and count that person out. It doesn’t. I’m so glad God has more patience with us than we have with one another. In our humanness we are so quick to give up on what we perceive as a lost cause. Even members of our own family – oh, they may try us, but we can’t write them off. When Jesus gave the command for His followers to be witnesses for Him in Acts 1:8, the first place that was mentioned was Jerusalem. Jerusalem was home base. Jerusalem was where everything started. He wanted the people “at home” to have first shot of this powerful saving message. In fact, that’s exactly what happened. When Peter got up on the Day of Pentecost, and preached Jesus Christ to the people “in Jerusalem,” a mighty thing occurred. Acts 2:37 boldly tells us the message that was preached was their undoing. It says, “Now when they heard this, they were pricked in their heart, and said unto Peter and to the rest of the apostles, Men and brethren, what shall we do?” (KJV). That’s a powerful reversal of opinion by those who in verse 23 were accused in the killing of the Lord Jesus Christ. Bearing with people is not always the easiest thing to do, especially those closest to you. You know a lot about them and it is sometimes hard to envision a reversal on their part, but can I tell you something, they are still souls before God. It is easier for us to “go into all the world,” (Mt. 28:19, KJV), then to make disciples out of those closest to us. Matthew 5:16 says, “Let your light so shine before men, that they may see your good works, and glorify your Father which is in heaven,” (KJV). You might be the only glimpse of what life in Christ could be for them. But, if you give up on them and count them out, how will they see? Your patience and attitude toward another could be their deciding factor. “Count him not as an enemy, but admonish him as a brother.” What if God had given up on us? Rather, Psalm 103:8-10 tells us, “The Lord is merciful and gracious, slow to anger, and plenteous in mercy. He will not always chide: neither will he keep his anger for ever. He hath not dealt with us after our sins; nor rewarded us according to our iniquities,” (KJV). We deserved the worse, but God saved us and gave us the best. He did not give up on us! I can readily admit that before my relationship with Christ I was as the young people say, “A hot mess!” I was “tore up from the floor up,” and any other thing that can be applied. I was a sinner. My life was not right. I was not born a Christian and neither were you. God has been very patient with us and we should return the favor. It may be a work in progress for most of us, but at least it’s in progress. Therefore, we don’t have the right to count others out either. We may have to distance ourselves for a little time, but our love and compassion, and our desire to see them saved should always compel us to “admonish them as a brother.” People need you today, don’t count them out. 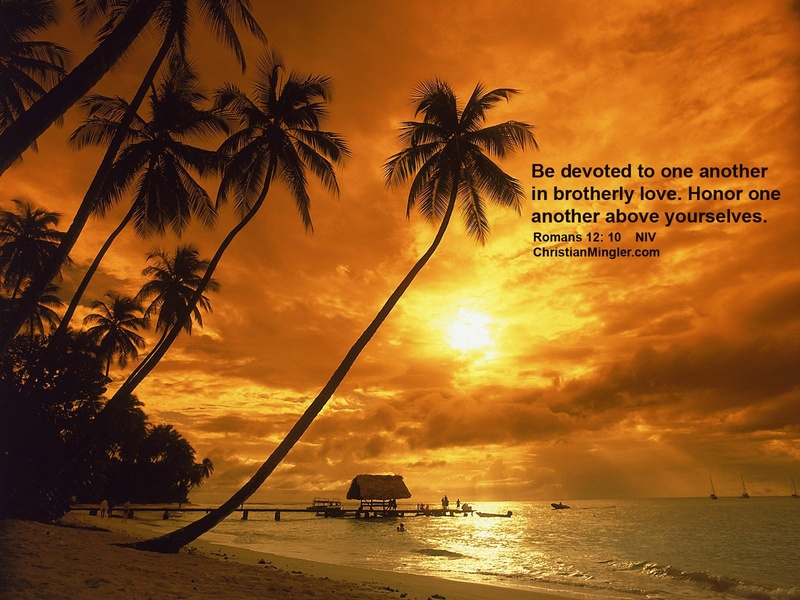 Exhort one another in love. We need each other so badly to make it through. Our hearts should yearn to see all saved even when we don’t see it. Have you helped someone carry the load lately or have we been so wrapped up in self that we don’t see the needs and cares of others? Just a thought, what if we went throughout the day looking for opportunities to help someone else? Whether it be a kind word to encourage, a pat on the back for a job well done, or an unexpected smile that will lift someone else’s day. Little actions make for big impact. Be a load sharer today! You don’t know what someone is going through. 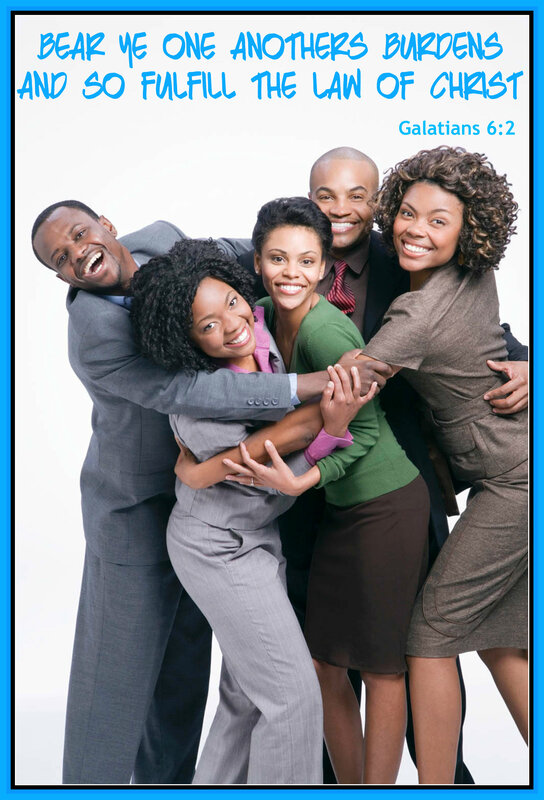 “Bear one another’s burdens, and so fulfill the law of Christ,” Galatians 6:2, NKJV. Happiness. Some say it’s overrated. I tend to disagree. 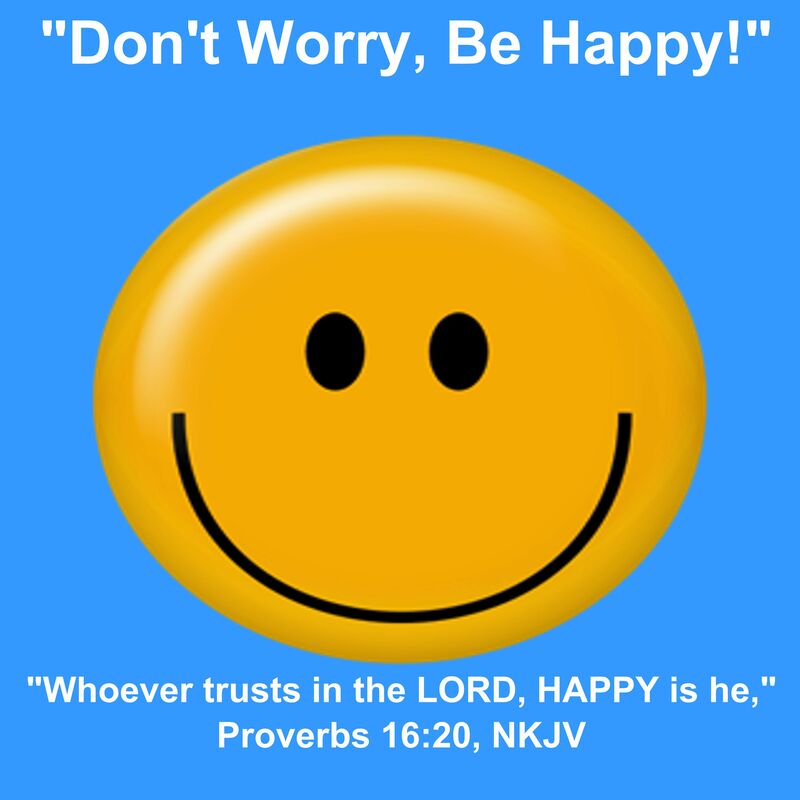 The Bible speaks over and over again about being blessed, happy, joyful, glad and rejoicing. With so many different ways of saying it, I believe the Lord has made His point. He wants His people to be absolutely elated in who they are. His child! What the Lord Jesus Christ did was point out numerous circumstances of life that would normally account for not being happy. But, by putting a statement of happiness in the front of it, He was relating that one doesn’t have to wait for the tides to turn in your favor to declare that blessedness. The Beatitudes are about going through the storms of life even when the waves seem adverse and still seeing the promise of heaven at work. Even when it feels overwhelming, to the point of feeling totally surrounded by trouble. Jesus said happiness can still be found during those times. How? “Rejoice, and be exceedingly glad for great is your reward in heaven.” I WILL NOT trivialize anyone’s hardships in life. There are some unimaginable things that people have to face every day that hurt; that disappoint. Situations that seem to do all they can to strip away one’s faith. Our Lord is not denying the hurt, but what He is saying is there is still a reason to be joyful. It would be totally unrealistic for one to tell another not to be upset over a wrong committed. Yet, we have a deeper revelation that beyond this mess there is a reward. Oh yeah, this stuff here stinks. But, over there – AWESOME! We may go through trials and tribulations like anybody else, but one thing we have as opposed to them is the comforting presence of our Heavenly Father. “Yea, though I walk through the valley of the shadow of death, I will fear no evil: for thou art with me; thy rod and thy staff they comfort me,” (Ps. 23:4). How can one not feel a measure of joy and comfort at words spoken such as these? It just makes me feel that no matter what I am going through, I can “Rejoice evermore,” because, He is there. He knows. He comforts me. He’s thinking about me. He hears my prayers. He sees the tears I shed. I can feel His presence bottling every one of those tears up, working to wipe them away. I may cry, but I can also rejoice because I have a true, living God who loves me and cares for me. Not just words of rhetoric but words of substance. Words that make me happy in spite of it all! Today, I choose to be happy because I am in Him, and He is in me. “Weeping may endure for a night, but joy cometh in the morning,” (Ps. 30:5). The tears may cloud over my eyes and fall down my cheeks, but eventually, it has to move and make room for the happiness I have in Him. I am blessed. 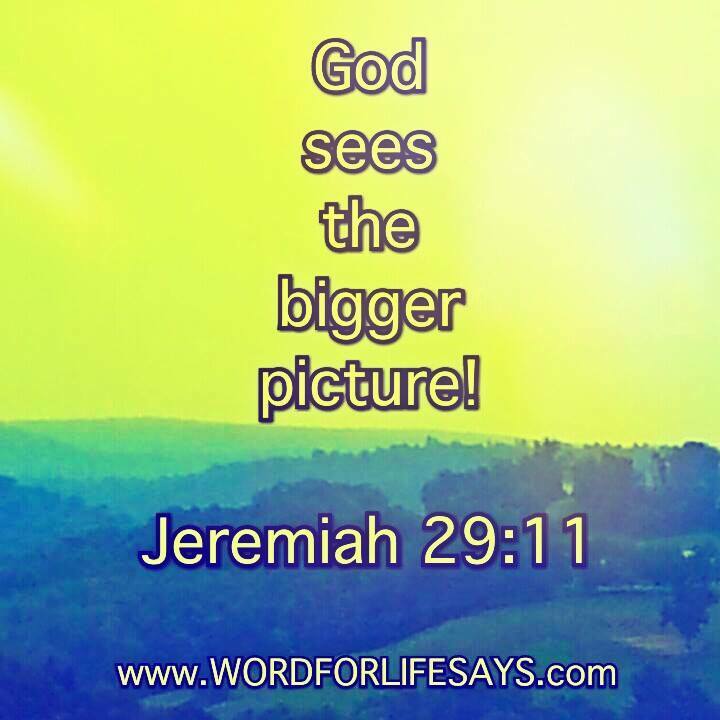 God sees the bigger picture! He knows the end from the beginning and He is going to take you down the best path to get you to that place of expectation that He has in store for you. “For I know the thoughts that I think toward you, saith the Lord, thoughts of peace, and not of evil, to give you an expected end” Jeremiah 29:11. If you want to thrive and grow and be all that God called you to be, you have to have deep roots planted in His house, in His service and in His worship that your soul may be fully nourished in Him. “Those that be planted in the house of the LORD shall flourish in the courts of our God,” Psalm 92:13. Have you ever experienced being in a room full of people, and yet you yourself feel all alone? 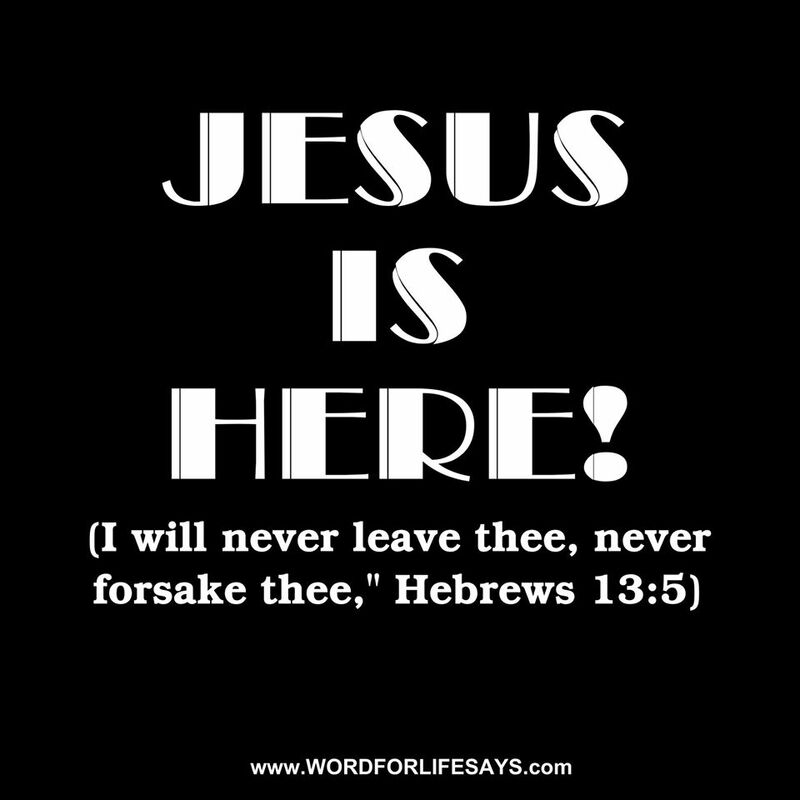 JESUS IS HERE! 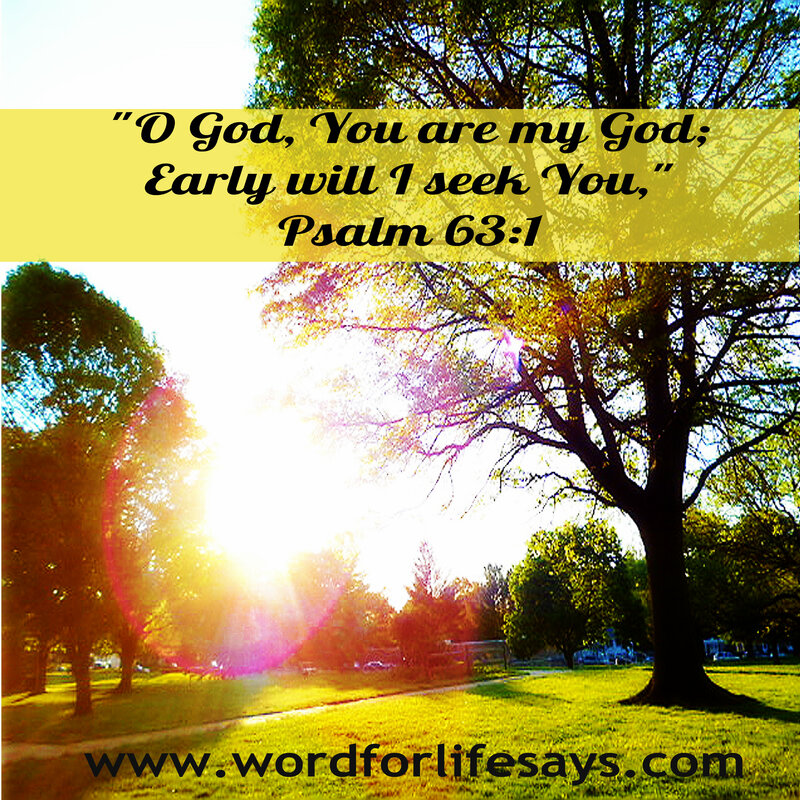 Whether or not anybody recognizes you, cherishes you or thinks highly of you, Jesus is nearby to you. 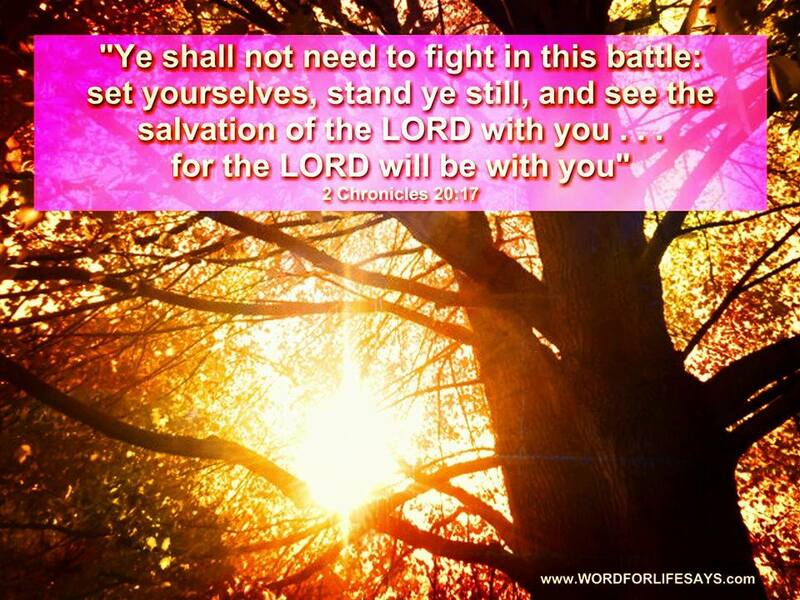 JESUS WANTS TO BE YOUR CHAMPION in the battles of this life. Don’t give up, no matter what it looks like! JESUS IS HERE! He has never moved!